Oh happy Saturday with no obligations…what shall we do? 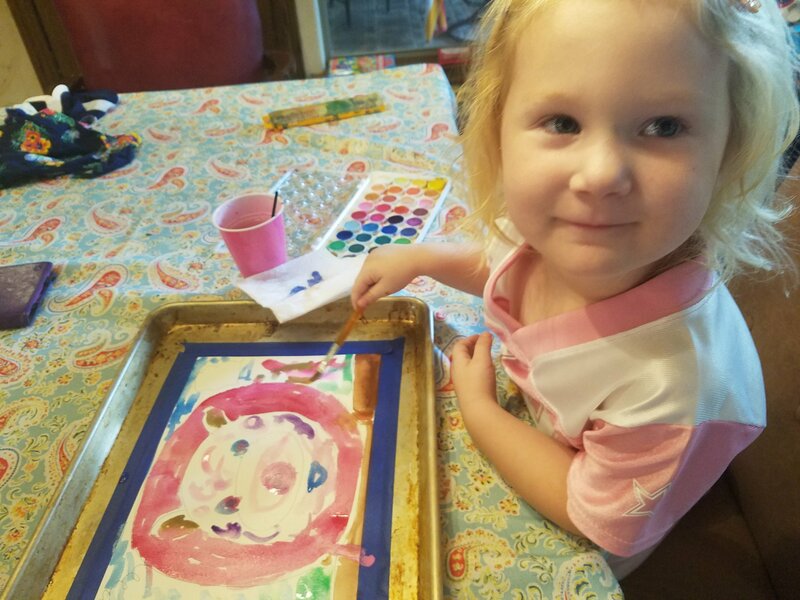 This morning, my 3 year old wanted to paint–one of her favorite, and most frequent, activities. We keep lots of kid-friendly watercolors around. 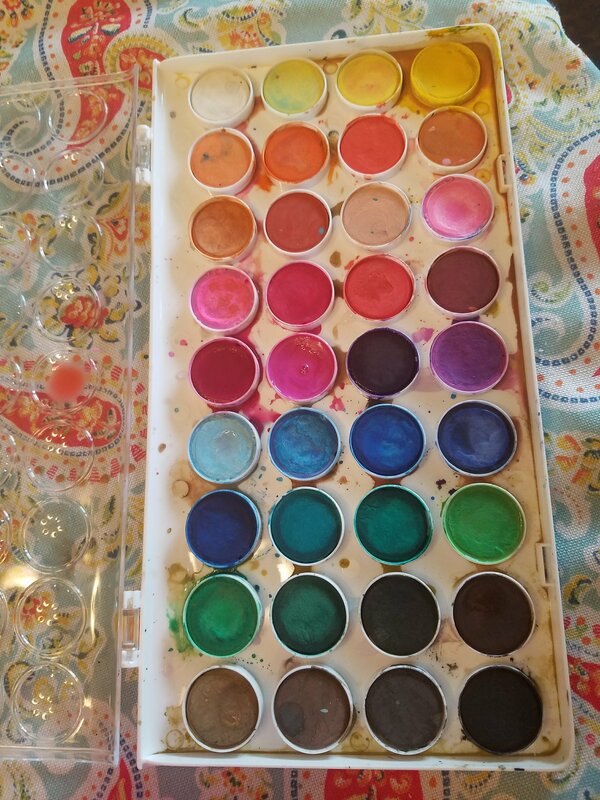 My favorites are Prang watercolors (the 8 color set is great for kids and mixes well even for adult painters, and the 16 count gives a few more color options), and this 36 color set, primarily because there are so many shades of pink for my little pink loving girl. (This set is chalkier with less pigment, so lower quality than the Prang set and harder to achieve actual watercolor effects). We started out with baking sheets and some painter’s tape, as well as this great kids’ watercolor paper. I taped the paper to the baking sheet for less mess and to hold the paper still for painting and drying. 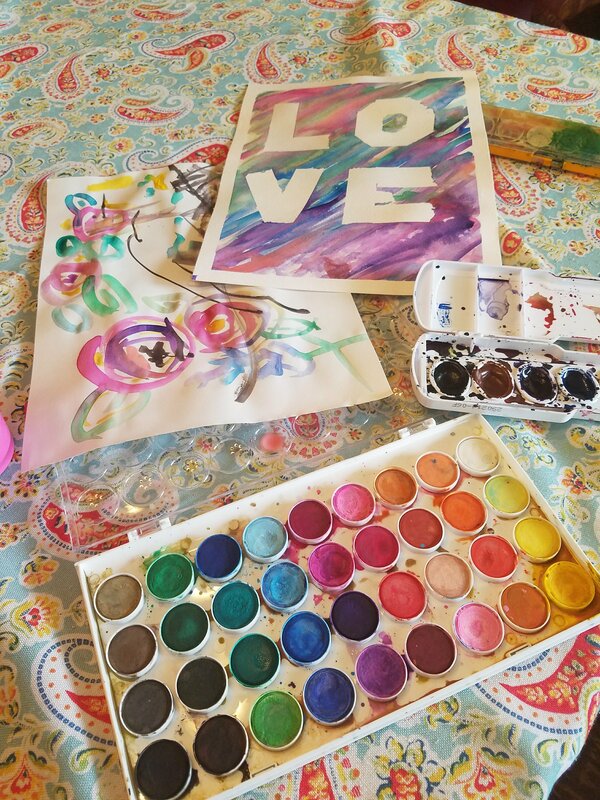 We wanted to make some pictures for my little one’s bedroom, so we chose a fun pink pig and a multicolored LOVE watercolor to create. The LOVE print was lots of fun too. 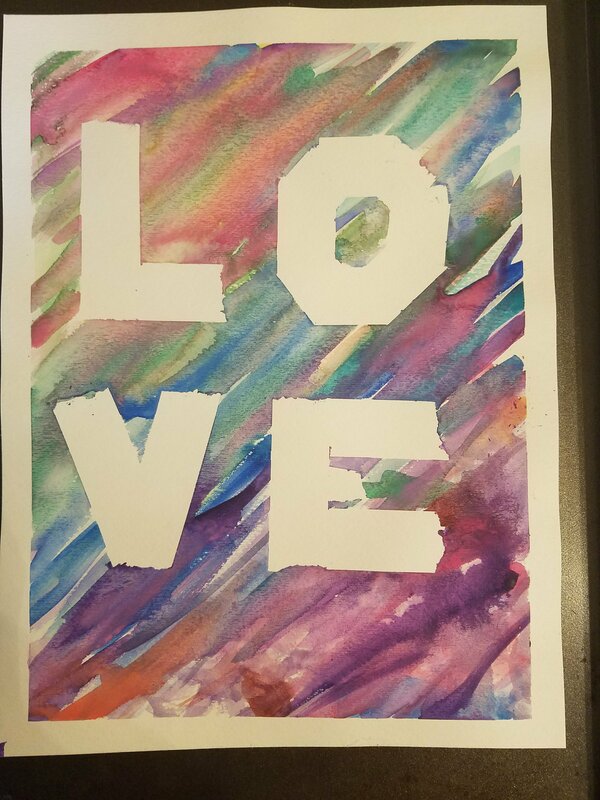 We used blue painter’s tape to create the blocky letters, taped the paper in place, and then painted with lots of colors over the whole paper.